TANAH MERAH MANSIONS is located at 137 TANAH MERAH KECHIL ROAD SOUTH in district 16 (Bayshore, Bedok, Chai Chee) of Singapore. TANAH MERAH MANSIONS is a Freehold Condo development consisting of 36 units. TANAH MERAH MANSIONS is completed / TOP in 1985 (estimated), developed by HENG YEE PTE LTD.
Educational institutions like SEKOLAH INDONESIA, ONE WORLD INTERNATIONAL SCHOOL, ROSEMOUNT INTERNATIONAL SCHOOL, TEMASEK PRIMARY SCHOOL, BEDOK GREEN PRIMARY SCHOOL and ST. ANTHONY'S CANOSSIAN PRIMARY SCHOOL are near to TANAH MERAH MANSIONS. 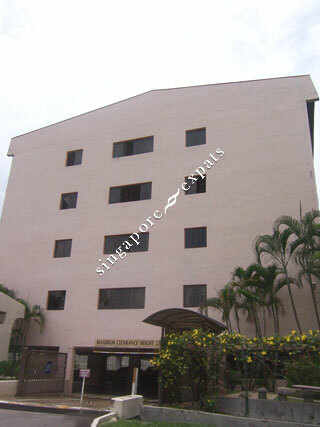 TANAH MERAH MANSIONS is accessible via nearby TANAH MERAH, SUNGEI BEDOK and BEDOK MRT Stations.